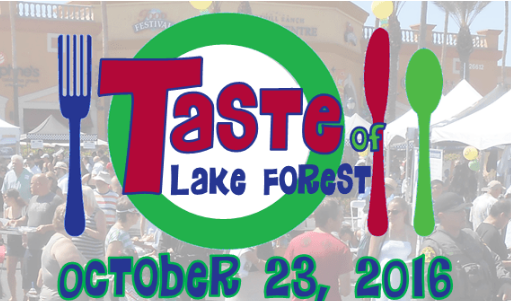 Oct. 23 | Taste of Lake Forest Offers Samples From Over 20 Restaurants, Entertainment and Fun! - EAT WITH HOP! Home / CA / EVENTS / LAKE FOREST / ORANGE COUNTY / Oct. 23 | Taste of Lake Forest Offers Samples From Over 20 Restaurants, Entertainment and Fun! Anyone going? See you there! Looks like it's gonna be so much fun and so much food! I'm excited to be going to this!